But on the other, media and some healthcare professional often warn vegans about the slew of nutrients that can’t be easily found on a vegan diet. So with so many conflicting views, it can be easy to feel confused. That’s why this article reviews the 10 nutrients you may have difficulty getting on a vegan diet, which supplements vegan women should consider taking and when it’s most beneficial to do so. Here’s a video summary to check out if you’re short on time! Vitamin B12 plays several essential roles in the body. It supports the normal function of your nerve cells and your body needs it to make DNA. Vitamin B12 also helps keep you energized and some studies show it may even help boost your memory and mood (1, 2, 3). Getting enough vitamin B12 is also important during pregnancy, since it may help reduce the risk of birth defects, premature births and miscarriages (4, 5). Vitamin B12 is only found in animal foods or supplements and your body cannot produce it. This means you have to get it from your diet. Some vegan advocates claim that you can get vitamin B12 from certain types of mushrooms, algae, nutritional yeast or even unwashed produce. However, there’s no science backing this up. In fact, studies consistently show that vegetarian and vegans that don’t take any supplements have an especially high risk of vitamin B12 deficiency (9, 10, 11). Some algae may contain a type of vitamin B12 but there’s still debate on whether this form is active in humans. That’s why for now, vitamin B12-fortified foods and supplements are the only reliable vegan sources of vitamin B12 (6, 7, 8). Vitamin B12 is best absorbed in small doses. So the less frequently you ingest it, the more you will need to take at once. The RDI of vitamin B12 is 2.4 mcg per day for adult women, 2.6 mcg per day during pregnancy and 2.8 mcg per day while breastfeeding (1). A vitamin B12 deficiency can take years to develop. So it’s a good idea to get your blood levels of active B12 periodically checked. This is especially handy if you are not currently taking any vitamin B12 supplements. Methylmalonic acid (MMA) is a good alternative marker for your vitamin B12 status (12). High intakes of seaweed, folic acid or vitamin B6 can falsely inflate your test results. So if you regularly include these foods in your diet, you may want to get your MMA levels checked instead of your active vitamin B12 ones. If you are unable to reach the vitamin B12 recommendations from fortified foods alone, I strongly encourage you to consider taking a vitamin B12 supplement. You can opt for a daily dose providing 25-100 mcg of cyanocoblamin or a bi-weekly one providing 1,000 mcg. You may have read about other forms of vitamin B12. However, cyanocobalamin is the most well-studied, affordable and effective for most people. This is why it is the form I recommend for most women (13, 14). In sum: Vitamin B12 is a nutrient all vegan women should be concerned about. Fortified foods and supplements are two easy ways to ensure you get enough of it. Periodic blood tests are also a good idea. Vitamin D is also known as the sunshine vitamin since your body can produce it when your skin is exposed to the sun. This fat-soluble vitamin helps your gut absorb calcium and phosphorus from your diet. It may also help boost immune function, mood, memory and even muscle recovery (15, 16, 17, 18, 19). The vitamin D RDI for adults is 600 IU (15 mcg) per day. Pregnant and nursing mamas should aim for 800 IU (20 mcg) per day (20). Very little foods naturally contain vitamin D and it can be difficult to meet the reference daily intake (RDI) from fortified foods alone. So perhaps unsurprisingly, most people end up being deficient in this vitamin, regardless of their diet (17, 21). One way to boost your vitamin D levels is to spend a little time outdoors. Some women can make enough vitamin D by exposing their face and forearms for 15 minutes to the midday sun without wearing sunscreen. For instance, women with darker complexions, those living more than 37 degrees above or below the equator or those who need to cover their skin due to colder climates may find it difficult to produce enough vitamin D from sun exposure alone (22, 23, 24). What’s more, many dermatologists warn against using sun exposure to boost vitamin D levels due to the known negative effects of excess UV radiation (25). Supplements are one reliable way to ensure you get your fill of vitamin D.
They exist either in vitamin D2 or D3 forms. Vitamin D2 is likely adequate for most people, however, vitamin D3 may be slightly more effective. Good examples of vegan vitamin D3 supplements include Vitashine, Vitabay and Viridian. Vitamin D supplements come in solid or liquid versions. A solid vitamin D supplement can be taken as a daily dose providing 600-1000 IU (15-25 mcg). Liquid vitamin D is easier for the body to absorb. Therefore, you may opt to take a liquid vitamin D supplement in one weekly dose providing 4200-7000 IU (105-175 mcg) (26). If you’re not sure whether a supplement is truly needed, consider getting your blood vitamin D levels tested twice per year. Once at the end of the summer, when they’re likely to be at their highest, and again in the dead of winter, when they’re likely at their lowest. If you’re unable to maintain proper levels from fortified foods and sunshine alone, a supplement may be beneficial. In sum: Vitamin D deficiency is common. Women unable to maintain normal blood vitamin D levels through fortified foods and sunshine alone should consider taking a supplement. You may have heard of omega-3s. They’re good fats necessary for the proper function of your brain and eyes. Getting enough omega-3s may also help prevent inflammation, depression, brain cancer and ADHD (27, 28, 29, 30, 31). Pregnant and nursing mamas may want to pay even more attention to this nutrient since it plays an important role in your baby’s brain development (32). Essential omega-3 fatty acids: This category includes alpha-linolenic acid (ALA) which is the only omega-3 fatty acid that you can only get from your diet. Long-chain omega-3 fatty acids: This category includes eicosapentaenoic acid (EPA) and docosahexaenoic acid (DHA). These two omega-3 fats are not technically considered essential because your body can make them from ALA.
Plant foods rich in ALA include flaxseeds, chia seeds, walnuts, hemp seeds and soybeans. EPA and DHA are mostly found in animal products such as fatty fish and fish oil. Theoretically, getting enough ALA from your diet should help maintain proper EPA and DHA levels. Unfortunately, studies report that the conversion of ALA to EPA may be as low as 5% while conversion to DHA may be near 0% (33, 34). This may explain why vegetarians and vegans consistently have up to 50% lower blood and tissue levels of EPA and DHA than omnivores, who can get their EPA and DHA from fish (35). While RDIs of EPA and DHA do not exist, most health professionals agree that 200-300 mg per day should be sufficient (35). Vegan women can get their EPA and DHA from an algae oil supplement such as Ekopura and Nordic Naturals or Brain Armor. They contain the same EPA and DHA you’d find in fish oil supplements but are less likely to contain high levels of pollutants such as mercury. When picking a supplement, try to ensure it provides at least 200 mg of DHA per capsule. In sum: Long-chain omega-3 fats are important for your health and your baby’s development. Supplements may be beneficial for vegan mamas, especially if pregnant or nursing. Iodine is a trace element crucial for the health of the thyroid gland, which runs your metabolism. Women with insufficient iodine intakes can develop hypothyroidism. This can cause low energy levels, dry skin, memory loss, depression, weight gain and tingling in the hands and feet (36). Low iodine levels during pregnancy or while nursing should be especially avoided since they can delay your baby’s motor and brain development (36). The RDI for adult women is 150 mcg of iodine per day. Daily requirements increase to 220 mcg for pregnant women and 290 mcg for nursing mamas (37). Typically, all plant foods contain some iodine since they take it up from the soil they grown in. However, not all soils contain enough iodine, which makes it difficult to know whether the foods you eat contain enough. Omnivores and vegetarians tend to get their iodine from dairy. Milk and milk products contain iodine because cow feeds are often supplemented in this nutrient. Iodine-containing disinfectants are also often used during milking, which further contributes to dairy’s iodine content. Dairy’s iodine content is likely the reason why vegetarians tend to have up to 50% higher blood iodine levels than vegans (38, 39). Seaweed and iodized salt are the only two vegan foods considered to provide consistently high levels of iodine. However, the iodine content of seaweed may vary up to sixfold depending on the variety. This can cause a problem, since too much iodine can also be harmful (36, 40, 41). As for iodized salt, you’d have to consume about half a teaspoon (2.5 ml) per day to meet your daily requirements. This ends up being more salt than typically recommended. For all these reasons above, I consider an iodine supplement the most reliable way to ensure you get enough iodine each day. I find it especially helpful during pregnancy and while nursing, two periods of time when a mama’s iodine requirements are increased. Liquid iodine drops are an easy and handy way to meet your requirements. In sum: Iodine plays vital roles in thyroid function and a baby’s motor and brain development. Vegan mamas, particularly if pregnant or nursing, should consider adding an iodine supplement to their diet. Iron is a mineral with many functions. It is used by your body to make red blood cells and DNA and is necessary to carry oxygen in the blood. It also plays important roles in energy metabolism (42). A diet that’s too low in iron can cause you to feel tired, get sick more often and even develop anemia. The RDI for iron is 18 mg per day for menstruating women and requirements shoot up to a whopping 27 mg per day during pregnancy. Non-menstruating women, whether due to nursing, the use of some types of birth control or menopause require around 8 mg of iron per day (43). Plant-based diets are rich in non-heme iron, which is typically more difficult for the body to absorb than the heme-iron found in animal foods (42). For this reason, vegans are often told that their daily requirements are 1.8 times higher the normal recommendations. However, more studies are needed to establish whether such high intakes are really needed (44). Plant-foods rich in iron include cruciferous vegetables, beans, peas, dried fruit, nuts and seeds. You can boost the absorption of the non-heme iron by combining iron-rich foods with those rich in vitamin C. Another way is to use a cast-iron pan for cooking (43, 45). For more ways to boost your iron absorption from plant foods, make sure to check out the 24 Iron-Rich Plant Foods for Vegetarian and Vegan Mamas. It’s important to mention that although getting enough iron is very important, getting too much can do more harm than good. For instance, too much iron can be damaging to cells or block the absorption of other minerals from your gut (46). Extremely high iron levels may even lead to organ failure, cause convulsions and in severe cases even lead to coma or death (47). It’s difficult to get harmful amounts of iron from your diet alone but the amount found in supplements can quickly add up. That’s why it’s best to avoid iron supplements unless they are truly needed. Measuring your blood hemoglobin and ferritin levels can give you a good idea of your current iron status. In sum: Most women should be able to get enough iron from their diet, however, pregnant women may benefit from taking a supplement. Too much iron can be harmful so not every women should take supplements. Calcium is used by the body to build strong bones and teeth. It also plays crucial roles in muscle function, nerve signalling and heart health. The RDI for calcium is set at 1,000 mg per day for all women, including those who are pregnant or nursing. Yet, many fail to meet it (48, 49, 50). Some vegans believe that their calcium needs are lower than omnivores because they do not need to use this mineral to neutralize the acidity produced by a meat-rich diet. More research is needed to evaluate how vegan diets affect calcium requirements. But so far, there is evidence that vegans who consume less than 525 mg of calcium per day tend to have an increased risk of bone fractures (50). I strongly believe in better safe than sorry — so I would encourage all women to ensure they get 525 mg of calcium per day at the very least. Pregnant vegans and nursing mamas should aim for 1,000 mg of calcium per day. Many plant foods contain calcium. The richest sources include bok choy, kale, mustard greens, turnip greens, broccoli, chickpeas, watercress as well as calcium-set tofu and fortified plant milks or juices. Most women can easily reach these recommendations through diet alone. But if you find yourself struggling to, a supplement providing 50% of the RDI may be beneficial. In sum: Vegan women who do not get enough calcium from their diet should consider taking a supplement. This may be especially important for those who do consume calcium-fortified foods. Choline is a nutrient your body uses to help your nervous system function properly. It’s particularly handy during pregnancy and while nursing since it protects babies against neural tube defects and can help with their brain development (56). The RDI for choline is 425 mg per day and shoots up to 450 mg per day during pregnancy and 550 mg per day while nursing (56). Your liver has the ability to produce choline however, the amount produced may not meet 100% of your daily needs (57). Many plant foods contain small amounts of choline. These, when added together over a whole day, can help most women reach the normal RDI. That said, if you’re pregnant or nursing, you may find it difficult to reach the increased daily requirements through diet alone. Since choline plays an essential role in your baby’s development, it may be safest for pregnant and nursing mamas to add a choline supplement providing 100% of the RDI to their diet. In sum: Most women should be able to get enough choline from foods alone. However, pregnant and nursing mamas may need a supplement to help them meet their increased requirements. Zinc is a mineral that the body needs to repair cells and maintain a strong immune system. It’s also crucial for a good-functioning metabolism (51). A diet containing too little zinc can result in hair loss, diarrhea and poor wound healing. Insufficient zinc intakes during pregnancy or while nursing are also linked to low birth weights, prolonged labor and poor baby growth and development (52, 53). The RDI for zinc is 8 mg per day and increases to 11 mg per day during pregnancy and 12 mg per day while nursing (50). As is the case with iron, the absorption of zinc found in plant foods is somewhat limited. That’s because many plant foods contain high levels of phytates, which can block zinc absorption. For this reason, vegans are often encouraged to aim for 1.5 times the RDI (51). Unfortunately, few plant-foods naturally contain zinc. This may explain why vegans often have lower zinc intakes and blood zinc levels than omnivores (54). As a vegan woman, you can maximize you zinc intake by including daily portions of whole grains, wheat germ, tofu, sprouted breads, legumes, nuts or seeds to your diet. Soaking nuts, seeds and legumes overnight and opting for fermented soy foods such as tempeh and miso can further boost zinc absorption (55). Adding the foods above to your diet should ensure you get enough zinc. However, if you’re unable to eat these foods often enough, a daily zinc gluconate, zinc citrate or zinc picolinate supplement providing 50-100% of the RDI may be beneficial. In sum: Zinc is another nutrient essential for health. Most women should be able to get enough zinc from their diet alone but those finding it difficult to do so may benefit from taking a supplement. Folate is a B-vitamin that plays several important roles in the body, but it is probably most well-known for its ability to help prevent birth defects during pregnancy. For this reason, women thinking about getting pregnant are often encouraged to get at least 400 mcg of folate per day from foods or a folic acid supplement. If you’re already pregnant, this recommendation shoots up to 600 mcg per day (56). Foods naturally rich in folate include beans, leafy greens, whole grains and oranges. What’s more, depending on where you live, folic acid — the supplement form of folate — may be added to white flour, making all products made from it rich in this nutrient. However, since white flour isn’t as rich in other nutrients as whole wheat flour, it’s probably best not to rely on it as your main way to meet your daily requirements. Birth defects can have lasting negative effects on your little one. So if you’re pregnant or currently trying to conceive, you may want to discuss taking a folate supplement (or a prenatal multi-vitamin containing it) with your healthcare provider. In sum: Folate is important for your baby’s nervous system development. If you’re thinking about getting pregnant or currently are, you may want to discuss supplements with your healthcare provider. Selenium is a trace mineral with antioxidant functions. This means that it protects your body against damage and keeps you healthy. The RDI for selenium is 55 mcg per day for most women, 60 mcg per day during pregnancy and 70 mcg per day while breastfeeding (57). You can meet these daily needs simply by eating one brazil nut each day. But you shouldn’t go overboard when enjoying these nuts as regularly eating more than six brazil nuts per day can cause you to exceed the daily upper safe limit for this nutrient. Other sources of selenium include oats, mushrooms, spinach, beans and sunflower seeds. However, these foods contain much smaller amounts, which means you’d need to consume 5-6 servings of them each day to consume equivalent amounts of selenium to what’s found in one brazil nut. So if you’re allergic to nuts and struggle to consume sufficient amounts of other selenium-rich foods, a supplement may be in order. In sum: Selenium is a trace mineral with protective antioxidant properties. Most women can easily meet their needs from foods, but those allergic to nuts may want to take a supplement. Vegan diets and vegan supplements tend to give rise to a variety of questions. You’ll find answers to the most popular below. Vegan diets can definitely be healthy as long as they are well-planned. For instance, vegans appear to have up to a 78% lower risk of developing type 2 diabetes and a 42% lower risk of dying from heart disease (58, 59). Vegans may also benefit from a 15% lower risk of developing or dying from cancer, although more studies are needed before strong conclusions can be made ( 60). Moreover, vegan diets appear to be very effective at lowering total-, “bad” LDL-cholesterol and blood sugar levels (61, 62, 63, 64, 69, 66, 67). In fact, they are often more effective at doing so than diets recommended by the American Dietetics Association (ADA), American Heart Association (AHA) or the National Cholesterol Education Program (NCEP) (61, 62, 63). That said, it’s important to make sure that your vegan diet remains well-balanced. You can do this by including a variety of fruits, vegetables, whole grains, legumes, nuts and seeds to your diet. 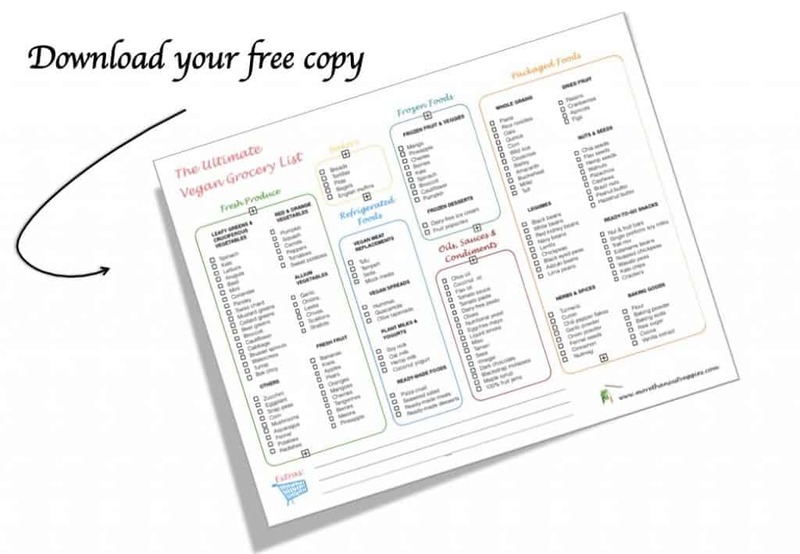 To make sure you stock up on the right foods, feel free to download a free copy of my ultimate vegan grocery list. You should also pay particular attention to the vitamins and minerals listed above and include either fortified foods or supplements to ensure you meet your daily requirements. Do Vegans Need Vitamin Supplements? As a vegan, it is possible to get all the nutrients your body needs from a well-planned diet. Such a diet should include a lot of whole foods, limit ultra-processed junk foods and include foods fortified in vitamins D and B12. That said, such a well-planned diet does require a certain amount of nutrition knowledge and if your diet isn’t planned properly, your risk missing out on some important nutrients (68, 69, 70, 71, 72). This can cause you to develop a deficiency and is especially worrisome during periods of increased nutrient requirements, such as during pregnancy and while breastfeeding. The cooking methods you use, your genetic makeup as well as the composition of your gut bacteria may further affect how easily your body can absorb the nutrients it needs from a vegan diet. If you’re new to a vegan diet, I encourage you to seek guidance from a registered dietitian specializing in plant-based diets to ensure your diet meets your daily nutrient needs. What Vitamins Do You Need to Supplement If You Are Vegan? All vegans should strongly consider taking a vitamin B12 supplement and most would also benefit from also taking a vitamin D, iodine and omega-3 supplement. Iron, calcium, folate, zinc, choline and selenium are additional supplements you may want to consider taking in special circumstances. Examples include during pregnancy, while breastfeeding, or if you specifically avoid certain types of foods due to allergies, intolerances or dietary dislikes. Is a Multivitamin Enough for a Vegan? Multivitamins typically contain a wide variety of nutrients and many people see them as a “daily insurance” against a less than ideal diet. However, there are some problems to using multivitamins in this way. 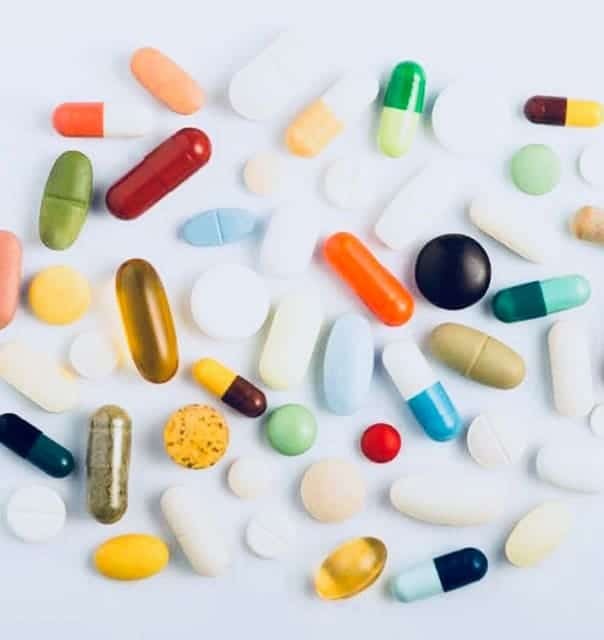 For one, multivitamins lack standard regulations, which means that each individual manufacturer can choose the type and quantity of vitamins and minerals to include in their supplements. Therefore, many multivitamins end-up containing much larger amounts of vitamins and minerals than you typically need on a daily basis. What’s more, research shows that their levels often exceed those noted on their labels (73). This can cause you to exceed the safe daily limit for certain vitamins and minerals without ever meaning to do so. In addition, some vitamins and minerals compete with each other. So consuming them together in a single pill can reduce your body’s ability to absorb them. Finally, relying on a multivitamin alone may is likely not sufficient to meet vegans’ vitamin B12 needs. That’s because most multivitamins provide only 2.4 mcg of vitamin B12, whereas when taken as a supplement, a larger dose of of 25-100 mcg of vitamin B12 is likely needed. Where Do Vegans Get Vitamin B12? Vitamin B12 is a vitamin generally found in all animals foods other than honey. Despite what some vegan proponents may claim, neither tempeh, seaweed, dirt, nutritional yeast nor mushrooms grown in B12-rich soil are reliable source of this vitamin. Therefore, vitamin B12 supplements and foods fortified in this vitamin are the only reliable form of vitamin B12 on a vegan diet. Getting enough vitamin B12 on a vegan diet is key to help your nervous system function normally, keep your energy levels up and maintain good moods and memory (1). While it’s true that your body can store enough vitamin B12 to prevent a vitamin B12 deficiency for several years, markers of B12 deficiency tend to increase abnormally within a few months of switching to a vegan diet low in vitamin B12. 2.4 mcg per day from foods fortified in this vitamin — ideally eaten over three different moments in the day. Do Vegans Need an Iron Supplement? Many plant foods are rich in iron. However, the non-heme type of iron they contain tends to be more difficult for your body to absorb than the heme iron found in animal products. Because of this, daily iron requirements may be up to 1.8 times higher for vegetarians and vegans than for people who include meat into their diet. A well-planned vegan diet is likely to provide you with enough iron. Plus, there are several ways in which you can help your body absorb iron from plant foods more easily, including consuming iron-rich foods together with foods rich in vitamin C and cooking with a cast-iron pan. However, an iron supplement may be beneficial to cover increased iron requirements during pregnancy or for those needing to avoid certain iron-rich foods due to food allergies or intolerances. How Do Vegans Get Enough Calcium? Although non-vegans tend to get most of their calcium from dairy foods, many plant foods also contain this nutrient. Vegan women should aim to get around 1,000 mg of calcium per day by including calcium-rich soy foods, beans, peas, lentils, nuts, seeds, seaweed, leafy greens and calcium-fortified foods into their diet. That said, it can be difficult to meet your recommendations if you avoid calcium-fortified plant milks or yogurts. In this case, a supplement may be beneficial. As a side note, getting enough vitamin D, either through sun exposure, a supplement or foods fortified in this vitamin is important to help the body absorb calcium properly. Do Vegans Need to Supplement Taurine? Taurine is a compound found throughout our bodies, including in the brain, heart and kidneys (74). It is though to protect the body by acting as an antioxidant and may also play a role in the way your muscles function (75, 76, 77). This nutrient is only found in animal products, including fish, red meat, seafood, poultry and dairy products but isn’t technically considered essential because your body can produce it in small amounts. Taurine supplements have been linked to lower blood pressure and cholesterol levels and research does shows that taurine levels tend to be lower in vegans than in meat eaters (78, 79, 80, 81, 82, 83, 84). That said, research also shows that vegan may have a 42% lower risk of dying of heart disease and up to a 75% lower risk of developing high blood pressure (85, 86). Taurine may also help improve eyesight and hearing and reduce seizures in certain populations. Vegans with poor vision, hearing or medical conditions such as epilepsy may want to discuss supplementing this nutrient with their healthcare practitioner (87, 88, 89, 90, 91, 92, 93). However, there is currently no evidence that the higher blood levels of taurine found in meat eaters are beneficial for the general vegan population. Therefore, until more research is published, taurine isn’t a supplement that I would personally recommend supplementing. Do Vegans Need to Supplement Vitamin K2? Vitamin K is a nutrient that helps your blood clot. Vitamin K1: also known as pylloquinone, this form is mostly found in leafy greens. Vitamin K2: also known as menaquinone, this form is found in animal foods and fermented foods such as sauerkraut, natto and miso. It’s important to note that your gut bacteria has the ability to produce vitamin K2, which is why it isn’t considered essential. What’s more, your body can also convert the vitamin K1 you get from your diet to vitamin K2, although this conversion may be limited (94, 95). Some studies link vitamin K2 supplementation to a lower risk of certain cancers, stronger bones and an improved heart health. However, there is currently no evidence that vegans not supplementing this nutrient have a higher risk of these health conditions. (96, 97, 98, 99, 100, 101). Therefore, until more research emerges, vitamin K2 is likely not a nutrient that most vegan women need to supplement. What Is the Equivalent of Fish Oil Supplements for Vegans? Fish oil supplements are typically consumed because they are high in long-chain omega-3 fats such as eicosapentaenoic acid (EPA) and docosahexaenoic acid (DHA). Algae oil is a great vegan source of EPA and DHA. Should Vegans Take Protein or Amino Acid Supplements? Protein is not a nutrient typically lacking on most vegan diets. In fact, all plant foods contain some protein, which is likely why most vegans meet their daily protein requirements without a problem. That said, some plant foods tend to contain limited amounts of some individual amino acids, which are the building blocks to protein. For instance, legumes tend to me low in the amino acid methionine while most other plant foods tend to be low in the amino acid lysine. As long as you include a variety of plant foods in your diet, you should have no problem meeting your protein and amino acid requirements without the use of a supplement. That said, vegan protein supplements may be beneficial for women with increased protein requirements or who need to avoid some high-protein foods due to food allergies or intolerances. Is It Safe to Be Vegan During Pregnancy? According to both the American and British Dietetic Association, a well-planned vegan diet is considered adequate for all stages of life, including pregnancy (102, 103). Here’s everything you need to eat to have a healthy vegan pregnancy. What Plant-Based Diet Blood Work Should Vegans Get? Vegans wanting to check whether their diet is sufficiently rich in certain nutrients should consider getting a comprehensive blood test. The most commonly requested tests include a general iron panel with hemoglobin and ferritin as well as tests for vitamin D, active vitamin B12 and methylmalonic acid (MMA) — a marker of B12 status. Some may also want to get their thyroid hormones levels checked as an indicator for iodine intake and their blood clotting time checked as an indicator for an adequate omega-3 intake or their bone mineral density checked as an indicator for their calcium intake. However, it’s best to discuss which specific values to get tested with a qualified healthcare professional. It’s also important to note that not all nutrients can be checked through a simple blood test. To ensure your diet is sufficiently rich in nutrients, it’s best to get it assessed by a registered dietitian specializing in plant-based diets. Well-planned vegan diets can be healthy and adequate for all stages of life. That said, some vitamins and minerals — especially vitamin B12, vitamin D, omega-3s and iodine — can be hard to get enough of from whole foods or fortified foods alone. Moreover, increased requirements, food allergies or intolerances can make it difficult for some vegan women to meet their nutrient needs for other vitamins and minerals as well. In such cases, supplements can also be beneficial. What vitamins and minerals do you currently take? Let discuss them in the comments below. Alina, thanks for covering the science behind the important nutrients vegans should keep in mind. That is a really extensive post. I liked how you linked to the studies if we want to read further. And the summary video – such a time saver to get all the key points in a short period of time! Hi Maude. Happy you liked the article and thanks so much for your comment 🙂 I’m still a newbie at making videos but I find it quite fun to do. Plus, as a busy mom myself, I love to consume info in video format so I figured I’d provide the option on Veggies & More whenever possible!